Whether you are a homeowner or a business owner, there is much care and maintenance involved in protecting your investment. Major repairs are not something that anyone enjoys, but they do happen from time to time. One such major repair is that of sewer or water pipes. There can be several reasons to need service on your sewer pipes – a broken pipe, a blockage in the pipe, corrosion or leaking at the joints or seals. A professional will need to evaluate whether or not a replacement is required, but if so, Trenchless Technology may be available to you to save time, money and major disruption of your property. With regular sewer pipe repair, a large trench is dug in your yard or commercial property and the pipes are repaired or replaced within that trench. By using Trenchless Technology, only one or two small holes are needed as entry points to the pipes. Then one of two methods of repair/replacement are used. The first method involves the use of a liner, a flexible tube coated with resin that is blown into or pulled through the existing pipe. It is inflated and the resin then hardens, creating a new pipe. This decreases the size of the pipe only marginally, but does not affect overall flow. The new pipe that is created is now jointless and seamless, which makes for a longer lasting system without the worry of leaking or cracking joints. 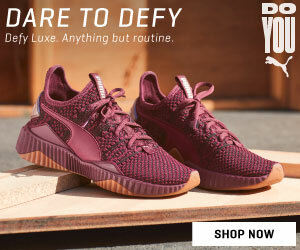 would depend on your individual situation. The cost for using the Trenchless method can be approximately 30 – 50 percent more than the traditional method, but because there is no trench to be dug, it can actually end up costing less. You will not have to pay for a team of workers and equipment to dig up your yard or dig up your commercial property. Likewise, you will not have to pay for them to put everything back in place when it is finished. 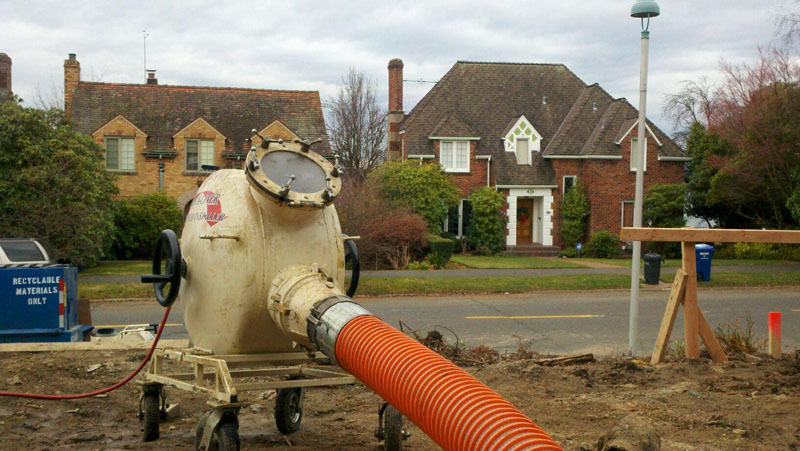 Trenchless also saves a tremendous amount of time and hassle when used at your home or business. Creating only one or two small holes, as opposed to a large trench, takes far less time, which means the faster your sewer system will be up and running again. And you don’t have to deal with the major disruption of your yard and/or driveway being torn up and unusable. This applies to a business property as well, and depending on the kind of business you have, this could translate to savings and much less inconvenience for your customers. If there is a problem with your sewer pipes, a professional plumber will need to evaluate the situation to determine if Trenchless repair would be an option for you. In some cases, traditional repair is still the best way to go. 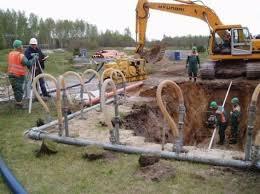 It will depend on the kind of damage to the pipe, age and condition of the pipe, depth of the lines and other factors. If Trenchless is an option, however, you may be able to save large amounts of time and money, which is a huge benefit for homeowner and business owner alike.